This is an exciting time if you like televisions. 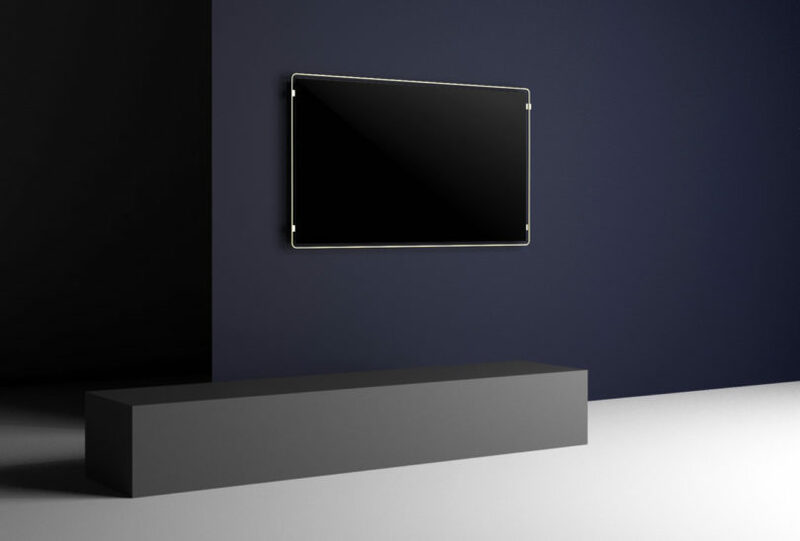 The initial revolution of displays abandoning the cathode tube for flatscreen tech has eased into an evolution of even thinner, brighter, more accurate, and higher resolution screens with every passing year. But something interesting is happening now: manufacturers are beginning to collaborate with designers to bring the television back into the forefront of the living space. 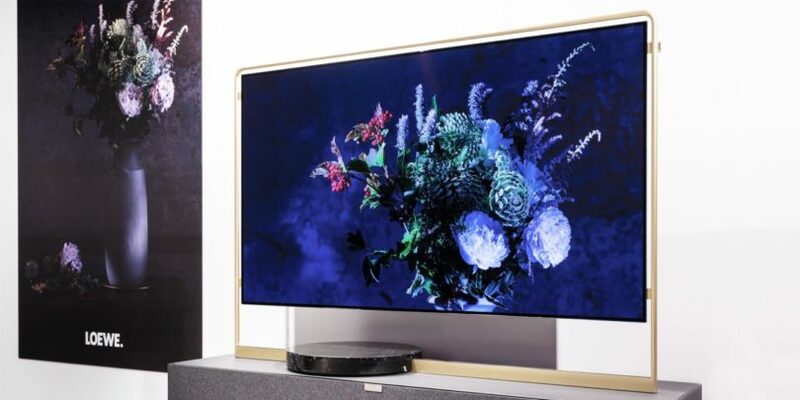 The Loewe Bild X OLED is a golden example of a television design that honors the display with details and a design worthy of becoming the focal point of a living space. 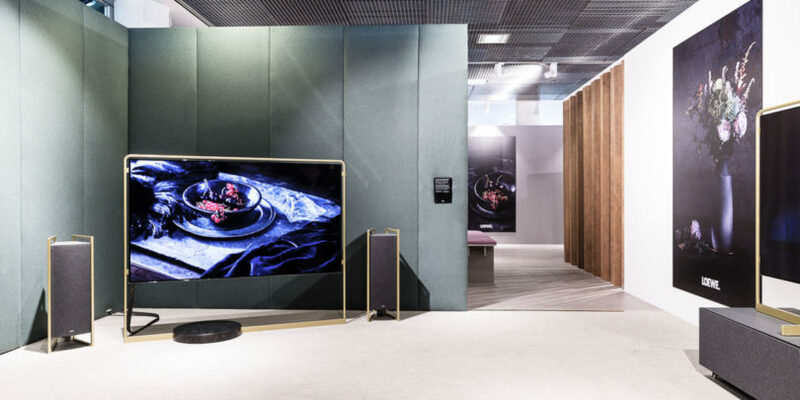 Continuing with the art deco and Bauhaus cues established by the Loewe bild 9, the new bild X OLED concept unveiled at the IFA Berlin 2017 shares the golden frame lead of its predecessors. But where the bild 9’s base/frame celebrated its design in the angular, the bild X found inspiration from a nautical source, emulating the way sails are attached on the mast of a seafaring vessel. 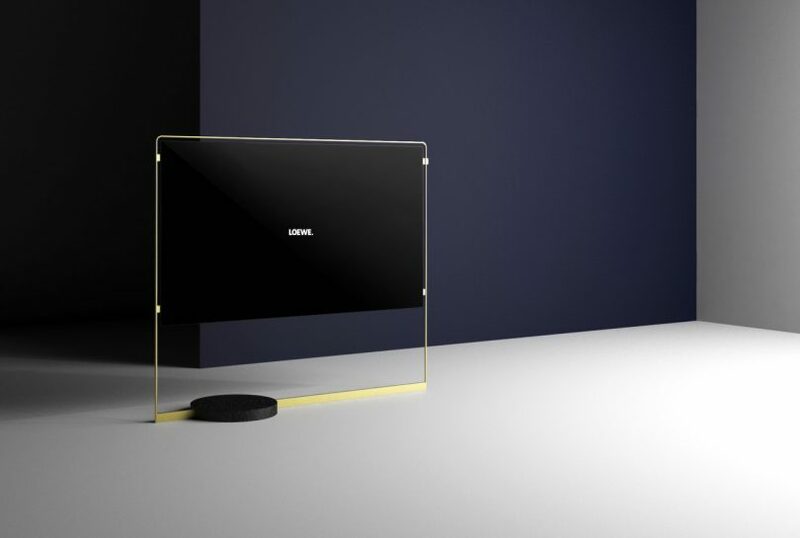 In the parlance of the 1980s vernacular, it’s a totally tubular design that suspends the super thin OLED display in a floating frame, all held steady by a weighted stone base stand, or within a wall mounted configuration, or as a console display. 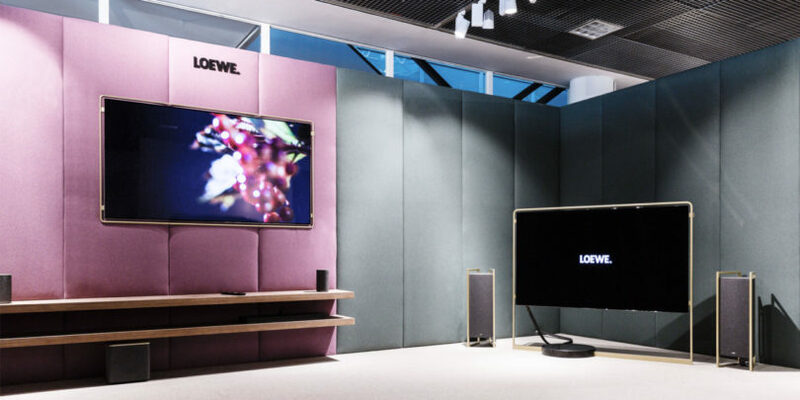 Loewe creative director Bodo Sperlein aimed to minimize all componetry within the concept’s panel design to its bare minimum, moving the usual connections and other electronics over to the base or cabinetry, resulting in a television display requiring only a single cable. The bild X is so lightweight, one person can remove and move the panel as required. 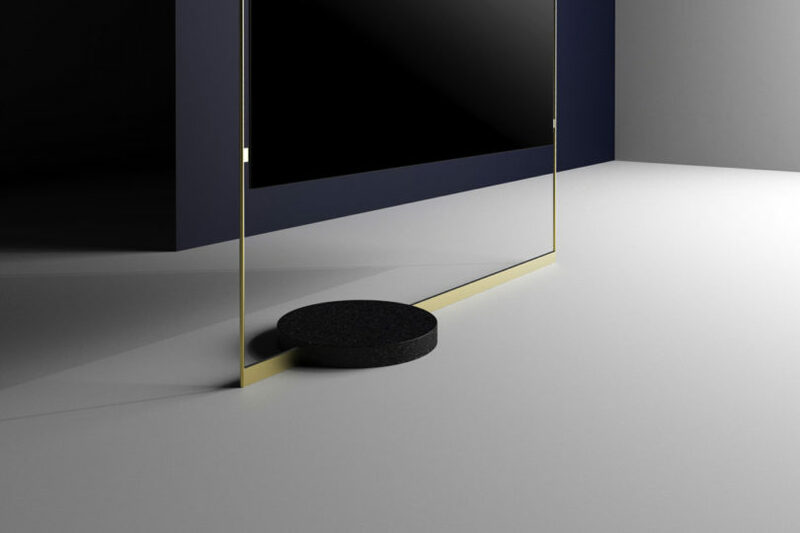 The Loewe bild X proposes an interesting concept where the television begins to share some of the attributes of an oversized tablet – lightweight, thin, and modular for use with other home entertainment componetry – housed within frames and stands to incorporate television as something we purposely notice, whether on or off.